Indian American researcher Ananda Mohan Chakrabarty, has concluded an interesting fact about genetically-modified organisms (GMOs) having anti-cancer properties. GMO’s have the potential to deliver the future of anti-cancer therapy, and even preventive medicines. So, the genetically modified fruits and vegetables carry a huge anti-cancer potential-if delivered as anti-cancer drugs to patients, the research implies. Chakrabarty is an alumnus of the University of Calcutta, and also a distinguished university professor in the department of microbiology and immunology in the University of Illinois. He is currently on a project to derive the bacterial proteins required to treat and prevent cancer. 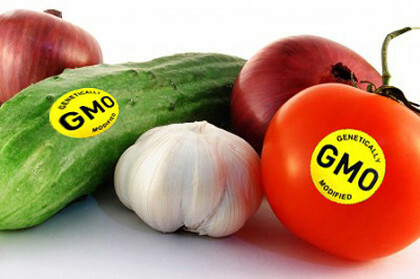 “The opposition to GMOs would wane if people knew that the genetically modified foods contain anti-cancer agents. They are opposing GMOs because they know such products benefit only the makers. What if they the GMOs could serve as carriers of anti-cancer agents,” Chakrabarty said here on Tuesday at the Bengal science lecture series organised by the West Bengal government’s science and technology department. “So, young women in rural areas who can’t afford expensive treatment and know they have a history of cancer in their families, could get the essential protein through plants as a preventive measure instead of getting their ovaries and breasts surgically removed,” he explained, highlighting how Hollywood actress Angelina Jolie did the same. As a part of this move, Chakrabarty is reported to be working in close collaboration with researchers in New Delhi, Japan, Mexico and Portugal. He is also closely examining the prospects of genetically engineering plants so that they can manufacture the bacterial protein as part of their metabolism. He and his colleagues isolated a bacterial protein, azurin, from Pseudomonas aeruginosa and showed that the protein as well as its fragment, called peptide 28, were able to selectively kill cancer cells while not attacking healthy cells. It also had cancer preventive effects. Similarly, the team also exhibited that the Laz protein produced by Neisseria meningitides (which causes meningitis), is toxic to brain tumour cells. “In Mexico, for example, plant biotechnologist Miguel Gomez was able to express azurin in tomatoes. The plant extract was found to have the anti-cancer activity and now they are trying to find out whether the plant extract can kill tumour cells in micea so we will have some answers in the next two years,” said Chakrabarty. Chakrabarty has been an advisor to governments, and the UN, and received the Padma Shri from the Indian government in 2007 for his contributions to genetic engineering technology in 2007. The bacteria engineered by Chakrabarti drew international attention when he applied for a patent – “the first U.S. patent for a genetically modified organism”. He was initially denied the patent by the US Patent Office because it was thought that the patent code precluded patents on living organisms. His landmark research has since paved the way for many patents on genetically modified micro-organisms and other life forms.